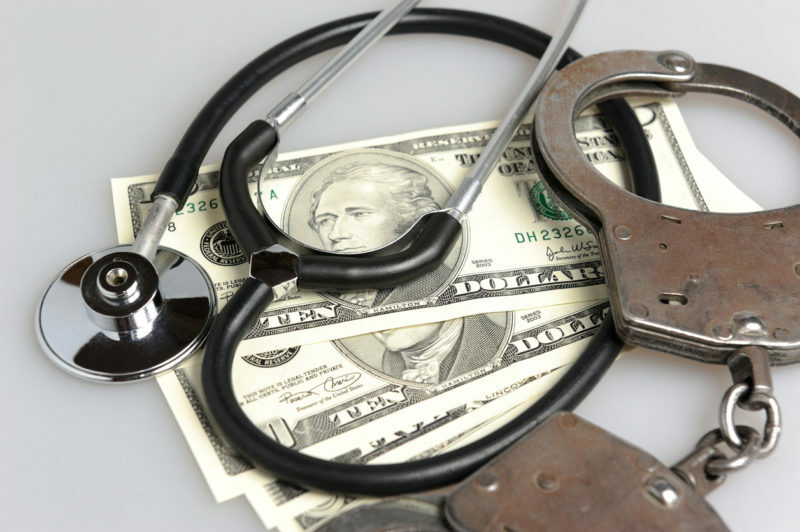 The FBI estimated costs associated with U.S. healthcare fraud was at $80 billion in 2013. A 2016 healthcare fraud sweep by the FBI involved $900 million in false billing and more than 301 individuals, including 61 medical professionals and 28 doctors. There a number of surprising and frightening ways that people internally and externally can game the system and that can lead to dire outcomes, including the lethal mistreatment of patients that are not properly identified and the ruin of personal finances. The good news is that there are solutions that are easy and effective to implement that will protect both healthcare institutions and patients safeguard. While adoption of new technology in healthcare is painfully slow, especially when it comes to operational efficiency, it is time that practices take notice of how simple and cost-friendly can make a big impact on operations. Case in point, the recent WannaCry Ransomware attack did not intentionally target hospitals but still caused a lot of damage to the NHS. Rolling Lab Schemes. This healthcare fraud is the result of unnecessary tests that are charged to insurance companies. Insured individuals often get caught off guard because these tests are administered in friendly or familiar areas, such as retirement homes and local gyms. Medicare/Medicaid Insurance Fraud. Medical service providers that sign off on unnecessary equipment or services (i.e. unnecessary testing) are often involved in this healthcare fraud scheme. They often work with equipment manufacturers who get access to seniors’ and other insured patients’ Medicare or Medicaid ID numbers. Services Not Rendered. This type of fraud occurs when medical service providers or customers submit false or altered bills to the insurance companies for services that never happened. Medical Identity Theft. This healthcare fraud involves perpetrators who retrieve insured individuals’ insurance identification and other information. They get this data several ways, including via collection of patient information during free screening at health fairs, recruiting corrupt medical staff with access to insured patients’ information, and buying patient information. Biometric Security Measures. This method includes implementing a biometric verification point, such as facial recognition, and strengthens the identification process. It can be used to match a person to their ID on file, or to confirm a real person that matches the ID on file is trying access information. Biometric Security is especially user-friendly for telehealth and mobile health apps by reducing the need to manually enter ID information or answer time-consuming, knowledge based questions that any fraudster might know, guess or hack. ID Verification by ID Scanning. Presenting a valid ID is still a valuable way to prevent fraud. However, checking this manually at the front desk can be time consuming and error prone. Scanning an ID that can be authenticated as valid is quick and easy. Another benefit to scanning is accurate and clean data to populate into your data systems, such as EMR and HER, within seconds. This prevents records with wrong patient data and saves time at patient check-in. It also gives you the ability to verify patients’ identities every time the valid ID is presented. Protect your Information. Patients must be more careful and pay attention to when and where they share their identity and healthcare insurance information. Anyone with access could be a gateway for fraud. And hackers are very wise about finding information via avenues such as social media to supplement the information they have, like a social security number. Cobbling together a patient profile allows them to present an identity that institutions will accept today. Avoiding healthcare fraud may seem daunting, but it is simpler than you think and solutions exist today that can dramatically reduce the impact. Creating more user-friendly, frictionless ways to verify the identity of patients at every access point will go a long way to protect both healthcare institutions and patients from fraud. Set yourself up with tools that fit your needs, or consult a team of experts on biometric and ID verification security services for an effective and secure way to mitigate healthcare fraud.